Denver-based interior furnishings representative firm STIR (www.stirdenver.com) announced it has added BuzziSpace www.buzzispace.com to their manufacturer roster. 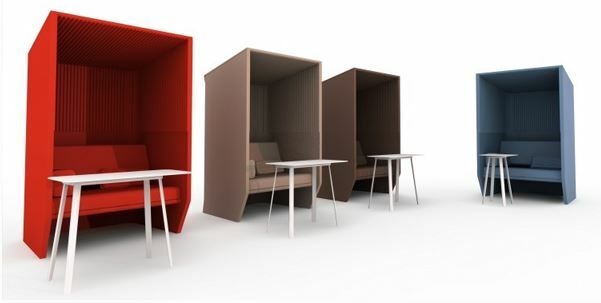 Belgium-based BuzziSpace offers stylish noise reducing interior solutions for a variety of commercial environments. As a growing number of companies opt for open plan office design, the need for noise mitigation to ensure a productive work atmosphere is greater than ever. BuzziSpace’s sophisticated, modern designs employ sound absorbing eco-felt to create a more peaceful work environment in offices such as Google and Airbnb. With economic development on the rise in Colorado (Business Insider ranked Colorado as the number one state in the nation for economic growth last year), Denver is an ideal market for products that support business environments. While BuzziSpace’s headquarters are located in Antwerp, Belgium, the company maintains branches worldwide, with showrooms in Chicago, Atlanta, Sydney, London and Rotterdam. To support growth in U.S. markets, BuzziSpace has established a North American manufacturing arm in North Carolina. For more information on STIR’s product lines, please visit their brands page. Denver-based STIR is a premier manufacturer’s representative group serving Colorado and Wyoming. The company represents a carefully curated group of contract office furniture and textile manufacturers that meet a variety of budget and style requirements for commercial operations. Click here to learn more about STIR.